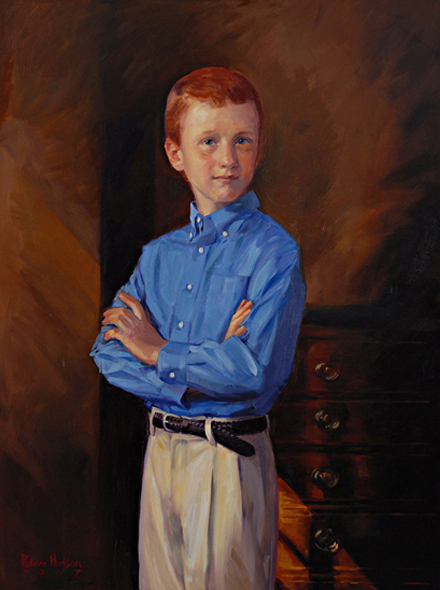 Oil on linen, 40" x 30"
"I like to call this portrait, 'our little CEO.' The manner of Christopher's arms folded across his body and the look on his face exudes confidence. This portrait always makes me smile when I look at it. It will be interesting to see what he grows up to do in life!" ~ Kelly and Joe J.